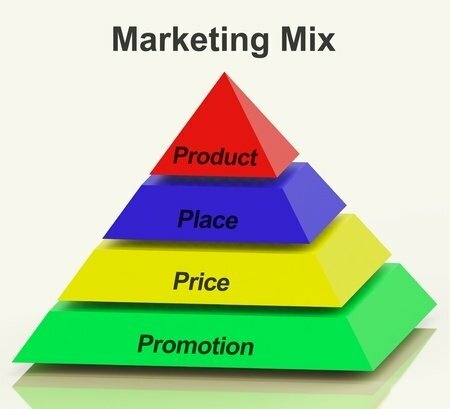 Marketing Has No Definition and No Rules? You're here: Home » Marketing Has No Definition and No Rules? Really? Marketing has no definition and no rules. That’s from a post I recently read on AdAge — I’m not providing a link because it would embarrass both the author and AdAge because it was so ignorant. And, the post was written by someone who should have known better — someone from Salesforce.com. Of course, this is the problem when firms hire folks who don’t have a marketing background. These folks, often journalists or technical folks, struggle to rediscover the marketing principles known to folks with a marketing background, which costs their employers money on wasted marketing tactics and opportunity costs from missed tactics. In addition, the AMA maintains an open-source repository for marketing terminology, metrics, and an systems. Unfortunately, the post author spent years coming up with his own defining principles of marketing that weren’t even as comprehensive and actionable as the AMA definition he denied existed. This definition clearly positions marketing as much more than simply advertising and sales, which novices and outsiders think comprise marketing. If you want to learn more about how the definition of marketing impacts marketing practice, take a look at my post on the topic or my Slideshare. OK, so maybe we call them marketing principles, rather than rules, but they provide effective guidance to marketers wishing to implement successful marketing campaigns. There are too many marketing principles to address here, but I’ve included some of the most important. I’ll construct future posts with additional marketing principles. Of course the hallmark of marketing is the 4 P’s — pictured above. In the digital age, we talk about alternatives to the 4 P’s, but every incarnation includes at least these 4 elements of successful marketing. Although the term “customer journey” is a product of the digital age, marketers always knew consumers went through a series of steps before buying and that marketing needed to match the needs of consumers at various stages in the buying process. In analytics, we often refer to this as the sales (or conversion) funnel to reflect our assessments of consumer movement from 1 stage to another. In the digital age, we’ve modified this notion of the customer journey to include post consumption steps that seriously impact marketing performance, such as evangelism. Segmentation, target marketing, and positioning are related marketing activities that have a significant impact on the success of your marketing campaigns. Successful marketers understand that not everyone is a likely prospect for their products or services — some have different needs, financial resources, etc. Proctor and Gamble makes use of this by creating different products for different target markets using positioning to align certain products with certain target markets. For instance, Tide is designed for families with young children whose clothes get very dirty and stained. Their slogans, which change slightly over the years, all emphasize Tide as a tough stain remover for clothes. Meanwhile, Cheer targets career families without small children with its emphasis on protecting your clothes and their bright colors. Other detergents target other segments of detergent consumers. P&G successfully maintains different products for different segments across several product categories, including diapers. Understanding the market, segments within a market, and developing a deep understanding of those segments you choose (your target market(s)) requires extensive market research. We often refer to target markets as Personas and we build out stereotypical individuals representing our target market that includes both demographics and psychographics (and maybe even geographics). The concept of branding is intimately tied to positioning and requires a significant marketing effort that goes well beyond simple logo and packaging design. Commonly in the digital age, we refer to frequency as “touches” and reflect how many times a target consumers. Reach refers to how much of our target market gets our message. The notion is you need to reach 100% of your target market between 5-7 times for your message to be effective. In the days of traditional media, that meant paid advertising, but in the digital age, a company needs to focus on earned media and owned media in addition to paid media. Once you really get into the principles of marketing management, you find similarities with management principles. This is especially true for service marketing, where the intimate relationship between service provider and customer (client) requires effective management of the service providers — in marketing we call them internal customers to reflect their importance on our market performance. organizing, implementing and controlling the marketing effort. Retailing and ecommerce have their own vocabulary and set of guiding principles. In retailing, we talk about atmospherics such as lighting, crowding of people and products, music, and other factors that make shopping enjoyable or unenjoyable. Online, we often refer to these principles as User Experience. A good user experience means navigation through the ecommerce site is intuitive, easy, and requires little effort. A good example of how important user experience is for ecommerce success, Amazon increased sales dramatically when they implemented their 1-click buying. Each click removed from the buying process significantly impacts profitability. A good user experiences also features pleasing visual elements, lots of white space, and easily accessible content. The product life cycle reflects changes as a product ages — from introduction of the new product through decline and ultimate death of the product when a firm discontinues it due to poor market performance. Different marketing strategies are necessary at each stage in the product life cycle. For instance, in the introductory stage, marketers focus on educating potential buyers about the product, while in the maturity stage, marketing efforts shift to reminding existing customers to repurchase the brand. In the decline stage, marketers may extend the product’s life cycle by improving on the existing product or finding new uses (or users) for the product. New product development ensures the continued survival of a company and firms unwilling to engage in the creative destruction required to bring their product mix into the future are doomed to decay and eventual death. A good example of creative destruction is the smartphone which is effectively destroying the market for original cell phones. Blackberry’s lag in developing an effective smartphone puts the firm in serious jeopardy.